Continuing its sea-perb first anniversary celebrations, the award winning restaurant, The Manhattan FISH MARKET offers diners 20% off on its á la carte menu to all HSBC credit card holders. Diners can now experience the taste of fresh seafood cooked with authentic flavors that are unique to The Manhattan FISH MARKET kitchen with savings on their total bill. The á la carte menu at The Manhattan FISH MARKET offers diners a delicious sea-lection of items to choose from its tantalizing drinks, delectable starters, scrumptious platters and delicious desserts available. 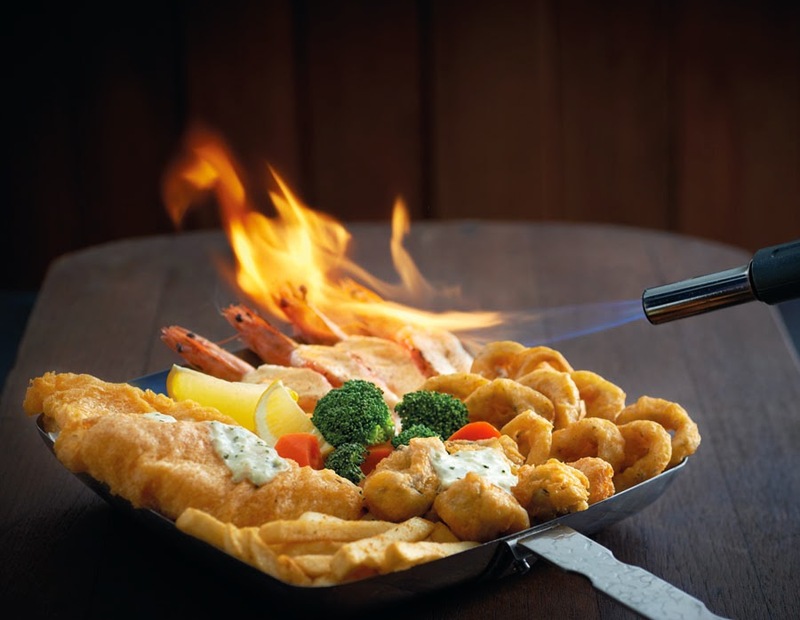 Valid till August 10th for dine in or takeaway, diners can indulge in the renowned Manhattan Fish n’ Chips, delicious Scallops Fish Chicken and tantalizing Garlic Herb Mussels along with an extensive range of dishes with HSBC at the Deal Place and Rajagiriya outlets.